Conference Series llc Ltd is pleased to welcome you to our "28th International Conference on Pediatrics, Neonatology and Pediatrics Nursing" which is to be held at Singapore city, Singapore on August 19-20, 2019. Pediatrics Summit 2019 will be a creative and strengthening International gathering mirroring the course of Pediatrics in the 21st century in a protected yet energizing condition that offers an extensive variety of preoccupations to members of all foundations. 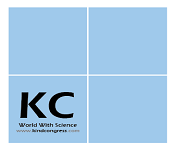 This meeting gives a magnificent chance to talk about the most recent advancements latest developments within the field. Pediatrics Summit 2019 featuring the topic " Enlightening the new horizons in Pediatrics and Neonatal Care" gives a great chance to share views, exchange knowledge and establish research collaborations & networking. Pediatrics Summit 2019 will concentrate on the most recent and exciting innovations in every aspect of research offering an interesting opportunity for pediatricians across the globe to meet, arrange, and discuss new logical advancements. The idea of this congress and program was produced for Pediatricians working in Primary and Secondary Care, and as well as for specialists of Pediatrics, Pediatric Surgeons, Family Medicine Doctors, General Practitioners, Nurse Practitioners, Researchers and Policy Makers. We likewise respects the cooperation of Presidents, CEO's, Delegates and Industrial administrators from Pharma and Health care divisions making the meeting an ideal stage to arrange, share perspectives and information through interactive keynote, plenary, posters and B2B discussions. Pediatrics Summit 2019 is an International stage for exhibiting research about diagnosis, prevention, management and exchanging ideas about it and in this manner, adds to the spread of information in pediatrics and child health for the advantage of both the scholarly community and business. The organizing committee of the Pediatrics Summit 2019 is preparing for an energizing and instructive meeting program including plenary lectures, symposia, workshops on a variety of topics, poster presentations and various programs for participants from all over the world. We invite you to join us at the Pediatrics Summit 2019, where you will be sure to have a meaningful experience with scholars from all around the world. All members of the Pediatrics Summit 2019 organizing committee look forward to meeting you in Singapore city, Singapore. 10th Annual World Pediatrics Congress , March 23-25, 2019 Orlando, Florida, USA; Pediatric Surgery Conference, June 29-30, 2017 London, UK; American Professional Society of ADHD and related disorders 2017 January 13-15, 2017 Washington, USA; Mayo Clinic Pediatrics Multiple Sclerosis and Autoimmune Neurology 2019, February 10-11, 2019 Phoenix, USA; Pediatrics Congress 2019, February 16-17, 2017 Luxor, Egypt; Pediatrics Neuro-Oncology Symposium, February 24-25, 2017 Phoenix, Arizona, USA; Annual Pediatrics Meeting, June 02-06, 2017 Chicago, Illinois, USA, Clinical Pediatrics Conference, June 29-July 01, 2017 London, UK; Pediatric Medicine Congress, August 28-30, 2017 Philadelphia, Pennsylvania, USA; Pediatrics Neurology Annual Meeting, November 16-18, 2017 Lisbon, Portugal; Faculty of Child Adolescent Psychiatry 2017, October 19-22, 2017 Adelaide, Australia; International Neonatal Conference, March 09-11, 2017 Abu Dhabi, UAE; Pediatric Academic Societies Annual Meeting 2017, May 06-09, 2017 San Francisco, California. European Society of Pediatric Research (ESPR), UK; Czech Pediatric Society (CPS), Ottawa, ON Canada; European Academy of Pediatric Societies (EAPS), Geneva, Switzerland; European Association of Pediatric Education (EAPE), European Pediatric Neurology Society (EPNS), Bolton, UK; European Society of Pediatric Neonatal and Intensive Care (ESPNIC), Geneva, Switzerland; European Society for Child and Adolescent Psychiatry (ESCAP), Geneva, Switzerland; European Academy of Pediatrics (EAP), Geneva, Switzerland; European Society of Pediatric Neurosurgery (ESPN), Athens, Geneva, Switzerland; European Pediatric Association (EPA/UNESPA), Berlin, Germany; European Confederation of Primary Care Pediatricians (ECPCP), UK; Jordan Pediatric Society (JPS), Jordan; European Pediatric Surgeon’s Association (EUPSA), London, UK; European Society of Pediatrics Allergology and Clinical Immunology (ESPACI); European Society of Pediatrics Gastroenterology, Hepatology and Nutrition (ESPGHAN), Munich, Germany; Associations for European Pediatrics and Congenital Cardiology (AEPC), Padua, Italy, Zurich, Switzerland; European Society of Pediatric Infectious Diseases (ESPID), Scotland, UK; European Society of Pediatric Dermatology (ESPD), Prague, Czech Republic; European Society of Pediatrics Endocrinology (ESPE), Bristol, UK. The branch Neonatology assumes a noteworthy part of the Pediatric children infections conditions, this incorporate the medical health condition of babies and kids, The pediatrics is a training which is hospital based. This will mainly carried out in intensive neonatal care units. The key part done by the Pediatric Perinatology which manages the embryo and the entangled wellbeing circumstances amid incubation period which found in Pediatrics Neonatology. Pediatrics Summit 2019 invites participants, moderators, and exhibitors from everywhere throughout the world to Singapore city, Singapore. We are pleased to welcome you all to our "28th International Conference on Pediatrics, Neonatology and Pediatric Nursing (Pediatrics Summit 2019)" which will be held amid August 19-20, 2019 in Singapore city, Singapore. The organizing committee is preparing for an energizing and instructive meeting program including plenary lectures, symposia, workshops on a variety of topics, poster presentations and various programs for attendees from all over the world. We welcome you to go along with us at the Pediatrics Summit 2019, where you can have a significant involvement with researchers from around the globe. All individuals from the Pediatrics Summit 2019 organizing committee anticipate your valuable presence in Singapore city, Singapore. 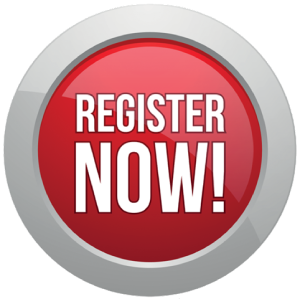 Pediatrics Summit 2019 conference will concentrate on the most recent and energizing advancements in every aspect of Pediatrics research which offers an exceptional open door for specialists across the globe to meet, organize, and see new logical developments. The current year's Pediatrics Summit 2019 features the subject, " Enlightening the new horizons in Pediatric and Neonatal Care" which mirrors the noteworthy advance in Pediatric Research. The two days meeting incorporates Pediatrics Summit 2019 care workshops, symposiums and extraordinary keynote sessions directed by famous and prestigious speakers who exceed expectations in the field of Pediatrics Summit 2019. This worldwide Pediatrics Summit 2019 additionally supports the dynamic interest of youthful understudies, forthcoming analysts and growing researchers as we are facilitating Pediatrics Summit 2019 Poster Award Competition and Young research Forum at the gathering venue. Everywhere throughout the world, guardians are ending up more cognizant about the strength of their youngsters. 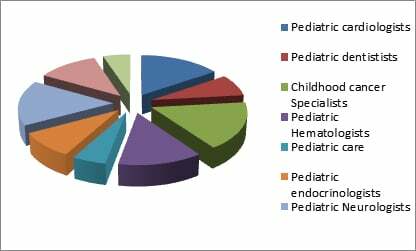 Subsequently, all-inclusive the pediatrics market is developing at a huge pace with organizations scrambling to get a critical share of the market. 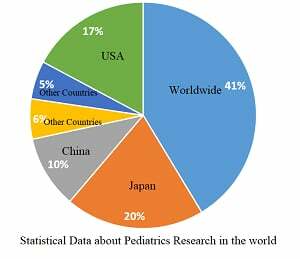 The Asian market is contributing altogether for the development of pediatrics market as more than 33% of the worldwide market is accounted by this area. Besides, various child healthcare initiatives and policies from International associations, for example, UNICEF and WHO has likewise been assuming a noteworthy part in adding to the development of pediatrics market. Assets that portray the market inclines in pediatrics including the changing demographics of patients and suppliers, hospital and health system expansion, and other essential care models. Pediatric medicinal services is managing the treatment of youngster related sicknesses, their improvement and care. Youngsters regularly experience the ill effects of respiratory, gastrointestinal and other ceaseless infection in light of lower resistance. 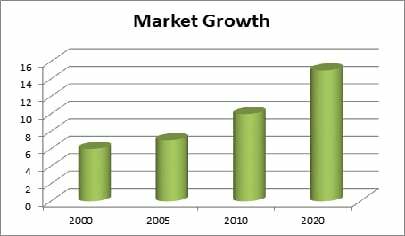 The worldwide market for pediatrics is accounted to around $83 billion out of 2013 and anticipated that would develop at 7.8% CAGR in future. Increment sought after for perpetual ailment treatment, Diarrhea and damage related diseases is more typical in youngsters; be that as it may, these illnesses shift from here and now to long haul medications that expend a considerable measure time and apply money related weights on the guardians. Changes in kid mind drift expands the predominance rate of pediatric sicknesses. This report gives detail data about current situation of pediatric treatment and expected development in it. The market's critical ascent through 2019 can be credited to the business winding up more acquainted with outlining and actualizing trials in the pediatric population. Conference Series llc Ltd Cordially welcomes you all working in the field of Pediatrics across the globe to take part in the Conference on Pediatrics Summit 2019, where all the current headway and inquiries about in the field of Pediatrics will be examined under a solitary rooftop. Pediatrics Summit 2019 will be an astounding amalgamation of the scholarly world and industry as it includes each parts of observational and applied speculation in investigating new measurements in this field. It is interested in a wide range of research procedures both from the scholarly community and industry. 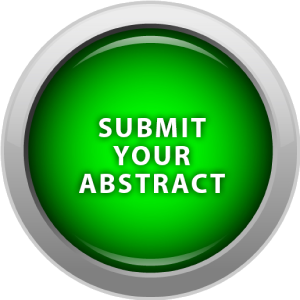 Pediatrics Summit 2019 is a global stage for exhibiting research about Pediatrics and related themes, trading thoughts regarding it and in this manner, contributes in dispersal of information in administration of the infection for the advantage of the general public. Singapore, an island city-state off southern Malaysia, is a global financial center with a tropical climate and multicultural population. The population follows multicultural management. It is a global financial center, the place where the market value has proved high in the shopping paradise and also in the activities like dining and entertainment. Singapore is one of the best tourism countries in the world. Tourism forms a large part of the economy, with over 15 million tourists visiting the city-state in 2014. To expand the sector, casinos were legalized in 2005, but only two licenses for "Integrated Resorts" were issued, to control money laundering and addiction. Singapore also promotes itself as a medical tourism hub: about 200,000 foreigners seek medical care there each year. Singapore medical services aim to serve at least one million foreign patients annually and generate USD 3 billion in revenue. In 2015, Lonely Planet and The New York Times listed Singapore as their top and 6th best world destination to visit respectively. Tourists from different areas visit Singapore to have a great time at this place, it has numerous tourism places. Official languages of Singapore are English, Malay, Mandarin and Tamil. It has ranked highly in education, healthcare, employment sector. The Port of Singapore became one of the world's busiest ports and the service and tourism industries also grew immensely during this period. Singapore emerged as an important transportation hub and a major tourist destination. With people from around the world focused on getting some answers concerning Pediatrics Summit 2019 and its advances, this is your most obvious opportunity to accomplish the greatest social event of individuals from the Pediatrics society. Coordinate presentations, fitting information, meet with present and potential analysts, make a sprinkle with new upgrades, and get name affirmation at this 2-days event. Incredibly famous speakers, the most recent procedures, changes, and the freshest updates in Pediatrics Summit 2019 are the indications of this meeting. North American Society for Pediatric Gastroenterology, Hepatology and Nutrition. The Children's Hospital Los Angeles social event's individuals include individuals, associations and foundations who present a one to five-year guarantee of $100,000 or more to help keep up the official improvement help (ODA)for maternal, baby and child prosperity in 2007 was $4.1 billion, up 16% from 2006 and around twofold the $2.1 billion of each 2003. In spite of the fact that these examples exhibit upgraded responsibility, ODA for maternal, newborn child and child wellbeing spoke to only 31% of all ODA for wellbeing in 2007. ODA streams for maternal, newborn child and child human services essential to track, however national resources are an altogether greater offer of financing for maternal, baby and child health. The overall fetal and neonatal care exhibit measure was regarded at 3.35 billion out of 2016 and is expected to create at a CAGR of 7.6% over the gage time span. A part of the factors accountable for showcase improvement are the high birth rate in creating countries, rising ordinariness of preterm births, and endeavors by the organization to construct survival rates in such cases. Moreover, extending commonness of neonatal clinic picked up ailments and rising mindfulness. The diminishing occurrence of preterm births is the central point restraining the development of the Japan showcase for preterm baby care items and services. Additionally, the Japan government activities to bring down preterm birth occurrence rate are required to altogether decrease the quantity of preterm births in the nation. For example, the administration battle "Healthy People 2010" meant to diminish the nation's preterm birth rate from 12.7% out of 2007 to 7.6% out of 2010. As indicated by the National Center for Health, 1 of every 8 Japan births are preterm and preterm birth rates in the Japan have declined from 12.8% in 2012 to 12.3% of every 2016. Conference Series llc LTD hosted the “27th International Conference on Pediatrics, Neonatology and Pediatric Nursing”, during September 24 -25, 2018 at Radisson Hotel Narita, Tokyo, Japan with the theme, “Current Trends and Novel Advancements in the Pediatrics and Neonatal Care”, which was a great success. Eminent keynote speakers from various reputed institutions and organizations addressed the gathering with their resplendent presence. Pediatrics Summit 2018 witnessed an amalgamation of peerless speakers who enlightened the crowd with their knowledge and confabulated on various latest and exciting innovations in all areas of Pediatric research. Pediatrics Summit 2018 Organizing Committee extends its gratitude and congratulates the Honourable Moderator of the conference, Dr Nestor Rivera Jimenez, Hospital Espanol, Mexico and for his remarkable contribution towards smooth functioning of this esteemed event. Conference Series llc LTD is privileged to felicitate Pediatrics Summit 2018 Organizing Committee, Keynote Speakers, Chairs & Co-Chairs and also the Moderator of the conference whose support and efforts made the conference to move in the path of success. Conference Series llc LTD thanks every individual participant for the enormous exquisite response. This inspires us to continue organizing events and conferences for further research in the field of Pediatrics. Conference Series llc LTD therefore is glad to announce its “28th International Conference on Pediatrics, Neonatology and Pediatric Nursing”, which will be held during August 19-20, 2019 in Singapore. We cordially welcome all the eminent researchers, students and delegates to take part in this upcoming conference to witness invaluable scientific discussions and contribute to the future innovations in the field of Pediatrics.